Another country music era has ended. The duo isn’t disappearing anytime soon though – on September 8th of this year Brooks and Dunn will release a greatest-hits album, and will tour one last time in 2010. 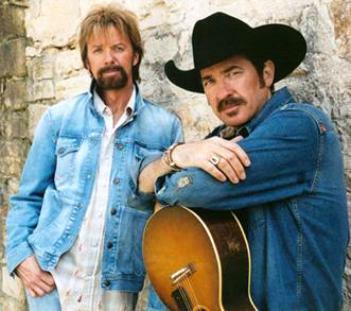 The pair’s music label Arista Nashville says Brooks and Dunn have sold more than 30 million albums. Among their many hits are “Boot Scootin’ Boogie,” “My Maria,” and “Cowgirls Don’t Cry” with Reba McEntire.